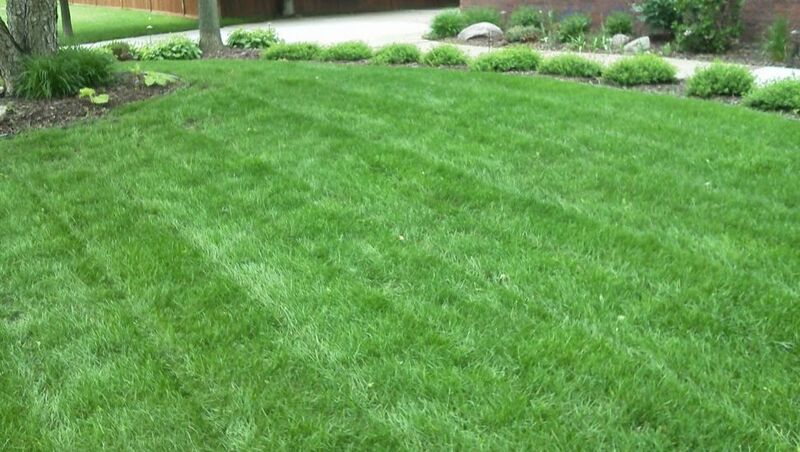 Have you ever had a lawn care company fertilize your yard? You probably received the same dosages and product year after year. In our area of the Midwest, has there ever been 2 years back-to-back with exactly the same weather? OF COURSE NOT. So, why should your lawn care products, rate of application, etc. be exactly the same each year? Quick answer: They shouldn't. We talk to our suppliers constantly about what the best products and kinds of products we should be using for the particular kind of weather or season we're having. It's not a 1 size fits all kind of deal, year after year after year. But with most lawn fertilizing companies... that's what you get. Cookie cutter. Only making it easier for them. Did you know that lawn fertilizers have different percentages of slow-release elements and quick-release elements in them? Someone may come by and put down a fertilizer for you that is 70% quick-release. But at that particular time of year / weather / drought or rainy conditions, you may get a massively larger benefit if it would have been 70 or 80% SLOW-RELEASE. Do you have specific questions about our process? Need an estimate? Call Jason at ﻿605-254-2235﻿.